Everything you need to see about Film + Design A first at Dutch Design Week: FILM + DESIGN Festival, a mini festival featuring films about design: craft, creativity, futurism, art, technology, fashion, music and architecture. 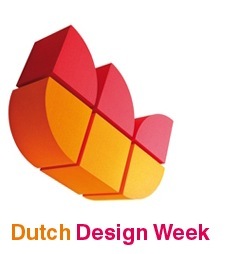 At the Dutch design week Levi van Veluw will present the 3 light video's. Shouldn't design be an over all experience? Clean and sophisticated, experimental and esthetically challenging? Film is the perfect medium to grasp the possibilities of the esthetic conceptual process. Showing the entire creative process--from conception to completion--is beneficial for the designer, the audience and the design itself. Be it documentaries, shorts, experiments, music video's or motion graphics; this year at Dutch Design Week you can learn from the masters and spot the newest, freshest and most daring talent working today. At Plaza Futura you can watch your own selection of our hundred international titles of short and feature presentations. We present documentaries such as the award winning inside story of advertising Art & Copy, Dutch premieres of two films on design masters Herbert Matter, Hella Jongerius and Lucienne & Robin Day, and modern classics on the subcultures ready to define a new generation of artists such as RIP - A Remix Manifesto and Beautiful Losers. Our showcases are compilations of exciting new territories discovered by some of the most talented young directors, featuring recent work by: Lernert & Sander, Max Hattler, Johnny Kelly, Daniel Askill, Levi van Veluw, Erwin Olaf, Hedi Slimane, Clorinde Durand, Studio Smack, Roel Wouters, Yu Sato, David Wilson, Salazar and Michel Gondry. 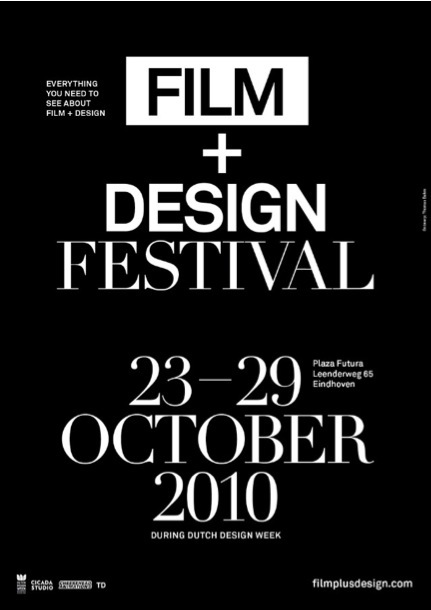 The brand new pop-up FILM + DESIGN Festival is presented to you by Cicada Studio, supported by Dutch Design Week and Plaza Futura.